Funny Green Shirt! 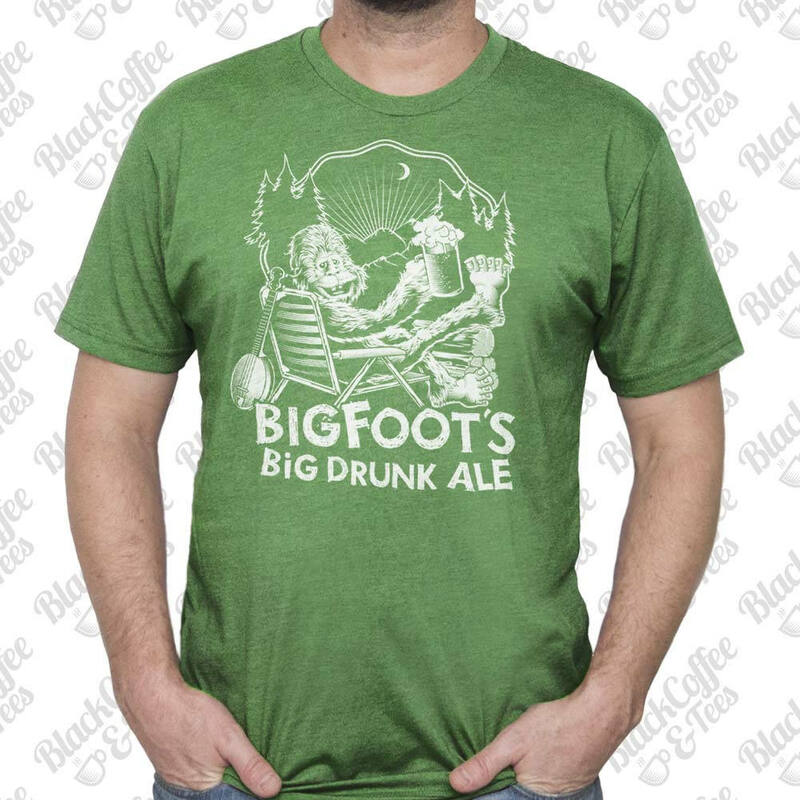 Bigfoot Shirt- Sasquatch Mens Shirt - Craft Beer Shirt - Big Foot Big Drunk Ale St Patricks Day Shirt - Green Mens Shirt. 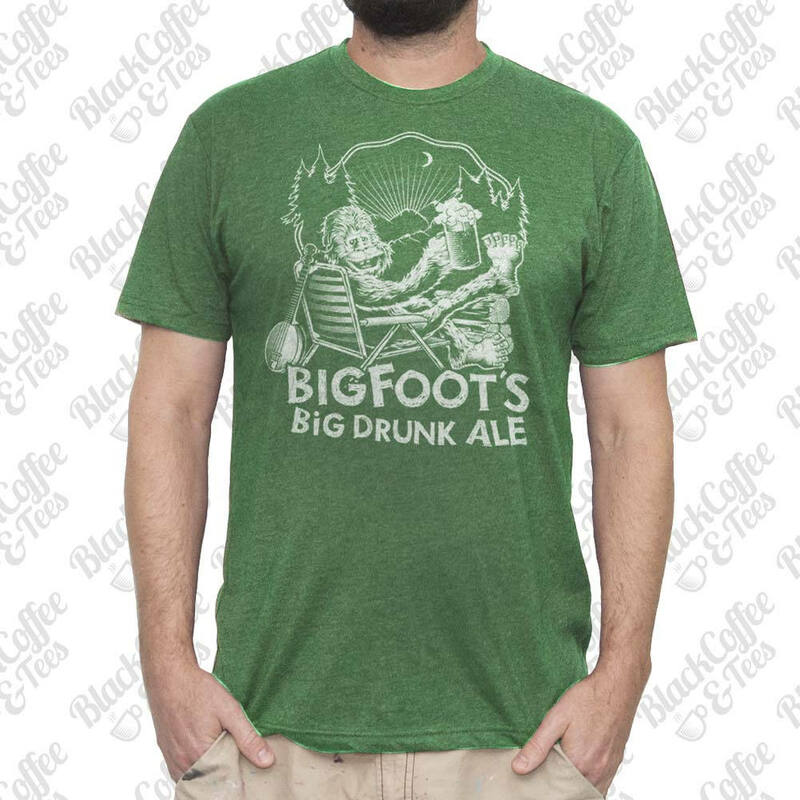 Hand Screen Printed Men's Bigfoot Drinking Beer Shirt. If you're looking for Bigfoot on Saint Patrick's Day, you're doing it all wrong. 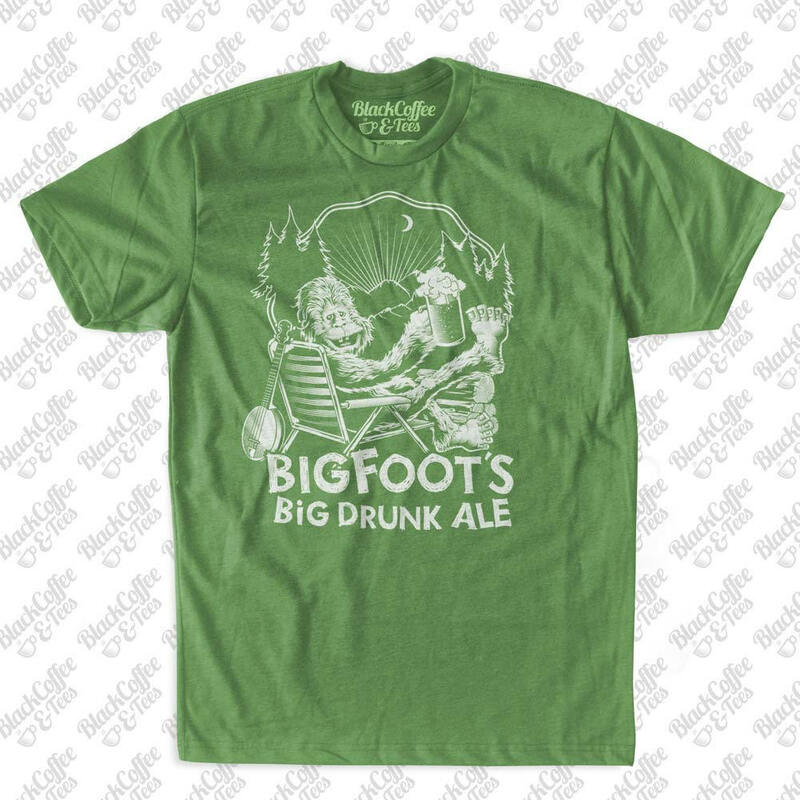 Screen printed shirt with a design of Bigfoot (Sasquatch, Yeti) relaxing drinking a beer.